I found my tips many different places. At the bottom of this post is a link to each site that I found tips from. Be sure to visit them if you want more info. Cyber Monday isn't just a holiday for shoppers — scammers love it, too. Only give up your credit card information to trusted, established sites, and don't fall prey to any fishy emails that offer too-good-to-be-true deals. Bottom line... shop sites you trust! Shop at Sites that Offer Free Shipping. 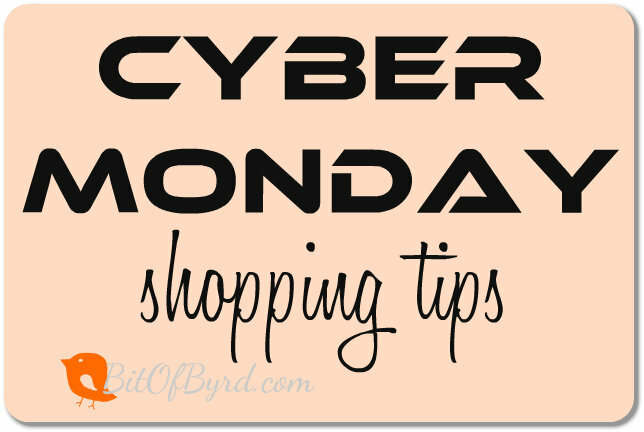 Many, but not all, stores offer free shipping on Cyber Monday; so spend some time looking for those free shipping deals. Don’t see free shipping offered on the site that you're on? Then, check a somewhere else! If you bookmark Retailmenot.com. Then, the next time you're shopping online, just click on the link, and it'll display all of the coupons for the site that you're on – now that's bargain shopping made easy. I use this site all the time when making online purchases! Some stores will announce Cyber Monday deals before Monday, so if you're planning on shopping at 12:01 a.m., you'll want to know what's on sale. Stores will also announce different sales throughout the day to keep you coming back. And many retailers, including Dell and Overstock.com, have started their holiday sales already, billed as "Pre-Black Friday" online sales. 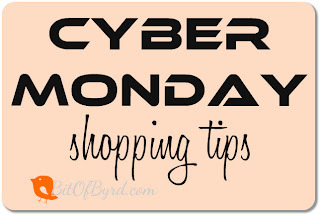 Go to TheBlackFriday.com for a list of all Cyber Monday-related sales. The planning makes everything easier.